Sprint National Relay Services allows those with speech and/or hearing disabilities to access telecommunications services. 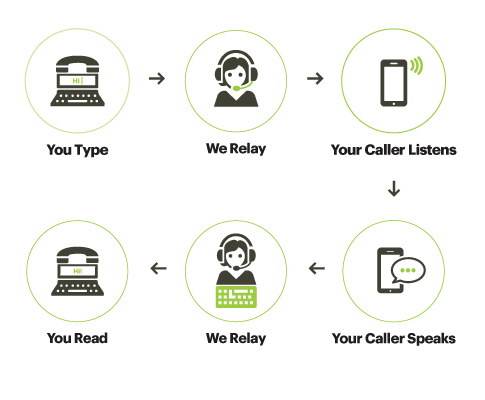 The services allows text-telephone (TTY) or special equipment users such as Captioned telephone, Braille TTY, to communicate with standard voice telephone users through specially trained relay operators or captioners. Calls can be made to virtually anywhere in the world, 24 hours a day, 365 days a year with no restrictions on the number, length, or type of calls. All calls are strictly confidential and no records of any conversations are maintained. A person who is deaf, hard-of-hearing, deaf-blind, or speech-disabled uses a TTY to type his/her conversation to the relay operator who then reads the typed conversation to a hearing person. The Relay Operator relays the hearing person's spoken words by typing them back to the TTY user. 7-1-1 is a free service - simple, easy-to-remember number to access that state relay services. 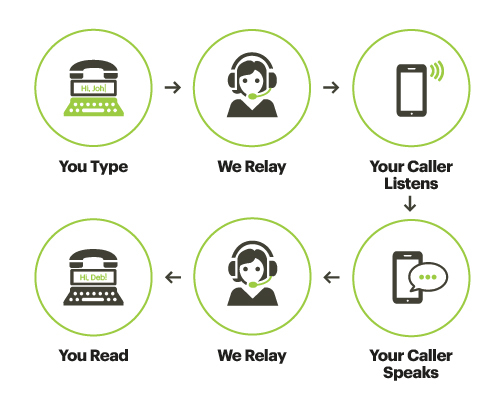 The State Relay Service, provided through a contract with Sprint, is used to assist communications between people who use text telephones (TTYs) and people who use voice telephones. Specially trained operators facilitate communications between the two callers. Every call is handled in strict confidence. However, 7-1-1 is easier to dial and easier to remember than the typical 800 numbers for relay access. It will create a more user-friendly environment for less experienced users, such as businesses and friends or family members of TTY users. 7-1-1 is NOT an emergency code and should not be confused with 9-1-1. HOWEVER, if you use a TTY and cannot obtain emergency services on 9-1-1, you may call 7-1-1 and tell the Relay Operator you have an emergency situation. The operator will then voice your emergency to the appropriate authorities. Sprint Relay offers Spanish relay service for our Spanish-speaking customers. TTY users can type in Spanish and the conversations will be relayed in Spanish to the called party. Sprint Relay le ofrece servicio de relay a nuestros clientes en español. Los consumadores de TTY purden escriber en español y las conversaciones serán retransmitadas en español, Para hacer una llamada retransmitada en español. 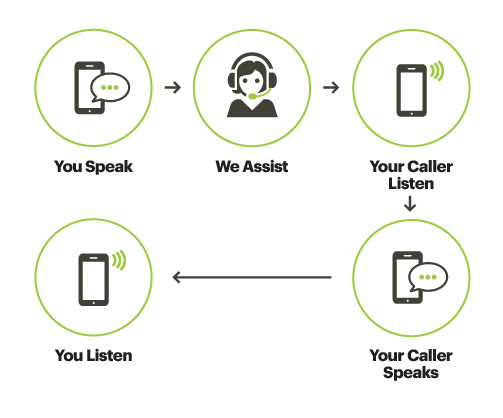 This service, called Speech-to-Speech (STS), provides a communication assistant (CA) for people with difficulty being understood by the public on the telephone. STS allows speech-disabled persons to voice their conversation. A specially trained Relay Operator repeats the words of the person with a speech disability or synthesizer output to the other party. No special equipment is needed to use this service. VCO means the caller’s voice literally “carries” directly to the party on the other end. In this way, hard-of-hearing or deaf individuals can speak in their own voice to a hearing person. There is a Relay Operator on the call, who simply types every word spoken by the hearing person. These words appear as text on the TTY screen for a hard-of-hearing or deaf person to read and respond to. Hearing Carry-Over (HCO) allows speech-disabled users with hearing to listen to the person they are calling. The HCO user types his/her conversation for the Relay Operator to read to the standard telephone user. Deaf-Blind Relay is for users who are deaf and blind and use a special TTY equipped with braille or large visual displays. This service allows them to read the braille tty or a larger text at a slower pace for the ease of reading and make relay calls. New Jersey Relay has a toll-free number that provides customized relay service for the unique need of deaf-blind individuals.